According to worldwide statistics, between one in four and one in five couples have fertility problems. These problems are equally distributed between males and females. Modern lifestyle has obviously increased these problems: endocrine-disrupting chemicals, such as plastic polymer catalysts, alkylphenols, phthalates and so on, and cosmetic additives seem to be strongly involved in this fertility problem. Many of these compounds increase oxidative stress (OS) and thus impair spermatogenesis. The oocyte has only a finite capacity, decreasing with maternal age, to repair sperm-borne decays. 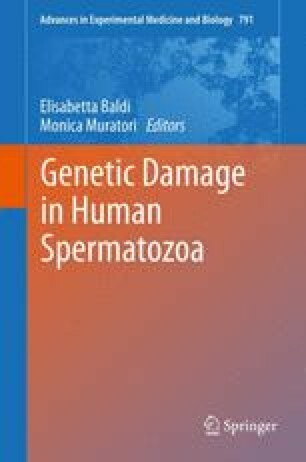 To decrease this DNA repair burden, reducing the sperm DNA damages linked to OS is tempting. Antioxidant vitamins are often given haphazardly; they are not very efficient and potentially detrimental. A detailed analysis of the sperm nucleus is mandatory (DNA fragmentation or lack of nuclear condensation) prior to any treatment. Here we discuss new concepts in OS and the corresponding therapeutic approaches.